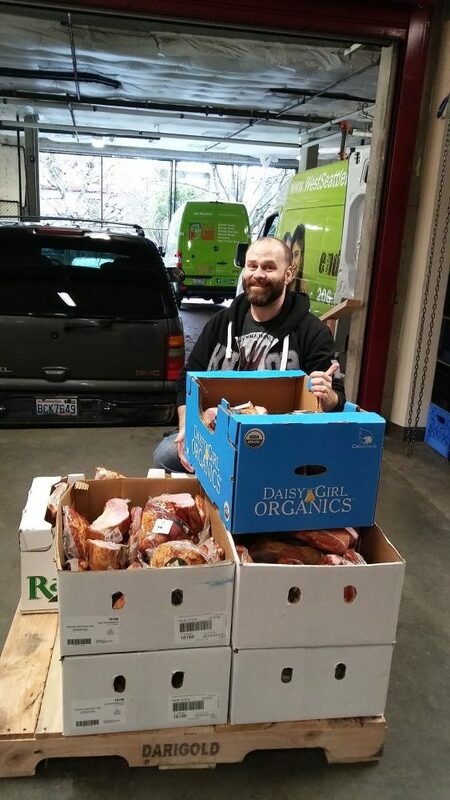 December 17th our van stopped by West Seattle Thriftway to pick up a donation of over 3,000 pounds of food. This was all thanks to their customers who purchased a $10 bag of groceries to be donated during October and November. The bags were filled with tuna, cereal, peanut butter, canned tomatoes, rice, pasta, soup & Mac n’ Cheese. Thank you so much to not only West Seattle Thriftway but to their very generous customers. There is a reason why West Seattle Thriftway was chosen to receive our Instrument of Change Award this year. They are such a wonderful partner. 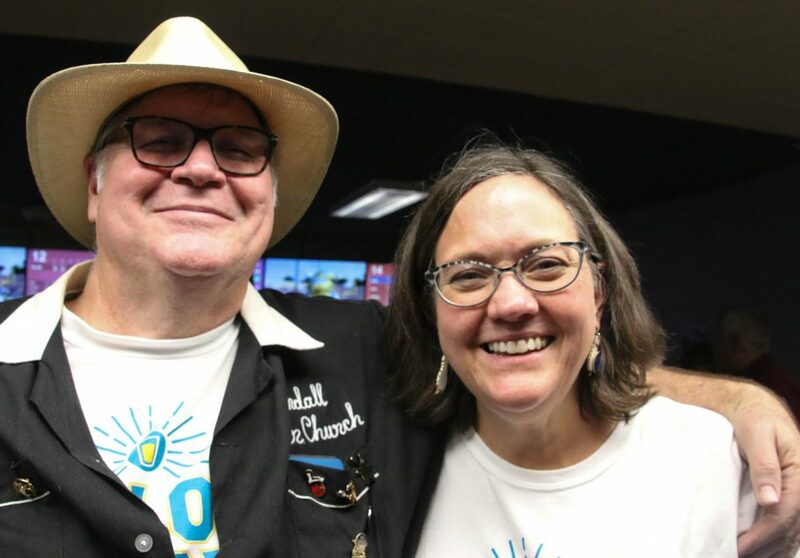 For the past several years Kendall & Kim Jones have organized and hosted the Beer Church Turkey Bowl the Saturday before Thanksgiving, a fundraiser and food drive for the West Seattle Food Bank. For our 20th Anniversary, the event grossed $12,600, by far the largest total ever earned at Turkey Bowl along with 1120 pounds of food. The event takes over all 32 lanes at West Seattle Bowl. Along with 250 bowlers, many people attend Turkey Bowl just to enjoy the party and participate in the auction and raffle. Along with members of the general public, many of the local breweries, cideries and bars send teams. There’s a trophy involved and in 2018 Airways Brewing won top honors as our Battle of the Brewers champion. 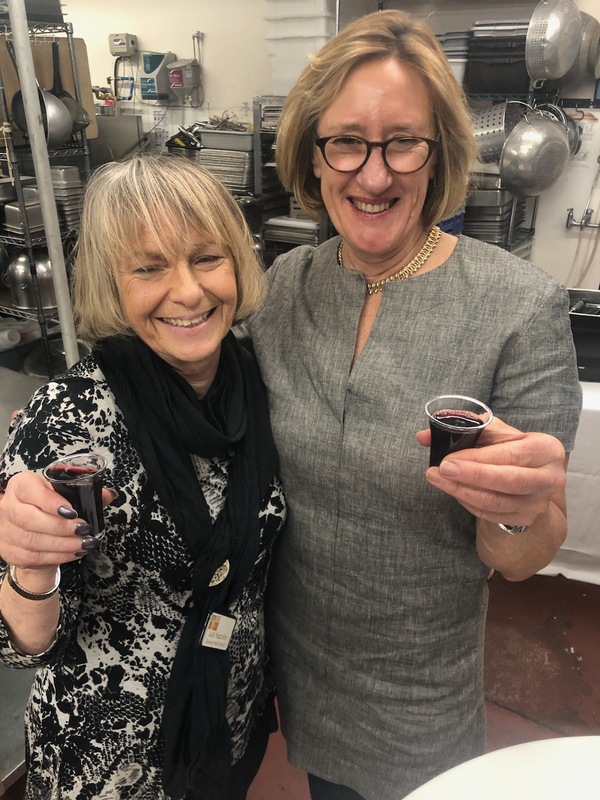 Huge thanks Kendall & Kim, all the participants and public who come to drink great beer and donate so generously to help provide those in need with food and other services. At right is On Safari Foods proprietor Teresa Carew, with Judi of the WSFB, where over $10,000 was raised for our Backpack Program. 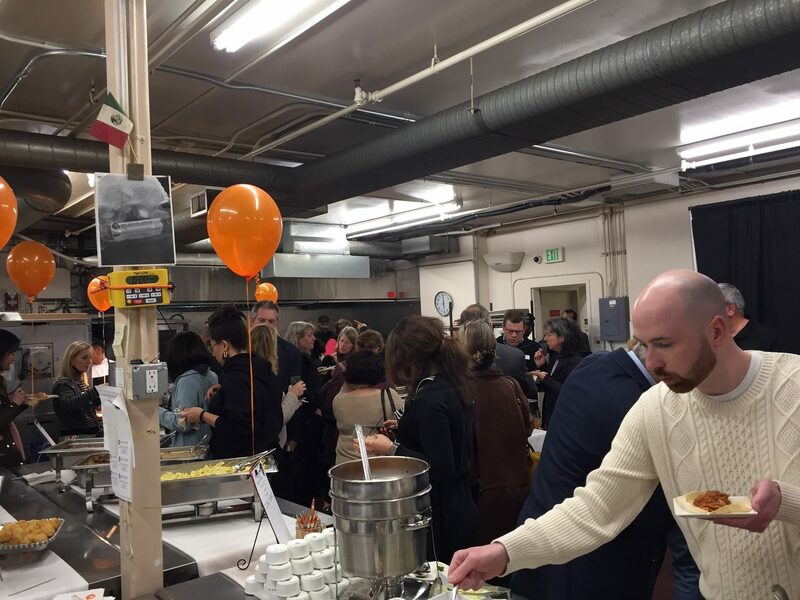 The fundraiser was part of On Safari’s annual Open House on Feb. 21st in SODO (where the catering company moved eight years ago after outgrowing its West Seattle HQ). WSFB is grateful to Teresa, her crew, and “very generous guests” for their support. 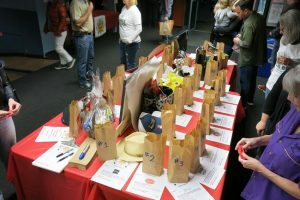 The money was raised through a combination of cash donations at the door, a raffle, and a silent auction. Now it’s given a big assist to our Backpack Program, which sends six “kid-friendly, nutritious, non-perishable, easy to prepare and eat” meals home weekly with school children at risk of hunger over the weekend. We can’t thank Dan, Peel and Press and their customers enough for being such wonderful partners to those we serve. What a success the 6th Annual Chili Cook-Off was! $3400 and $130 from the Beer Junction Root Beer Garden tips. 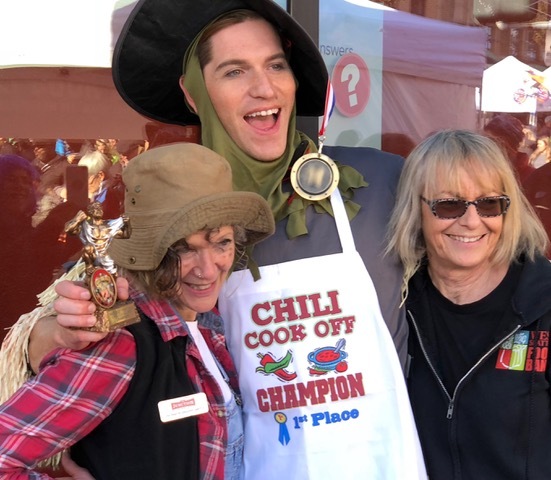 We had so much fun and West Seattle definitely loves their chili! 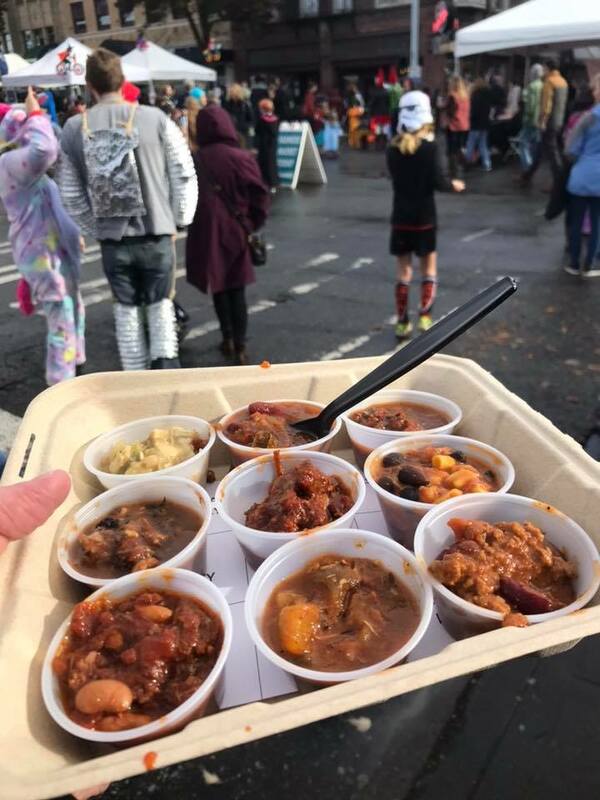 Thank you to the West Seattle Junction Association for inviting us and most certainly to the 9 contestants who donated and served their delicious chili: Duos Catering, Easy Street Cafe, Elliot Bay Brewery, Girls Gone BBQ, Husky Deli, Pecos Pit BBQ, Shadowland, The Bridge & The Westy. Congratulations to Duos Catering for winning for the second year, having bragging rights, getting an apron and a very cute trophy – until next year. Thanks to everyone who attended, purchased tastings and voted to support the West Seattle Food Bank. 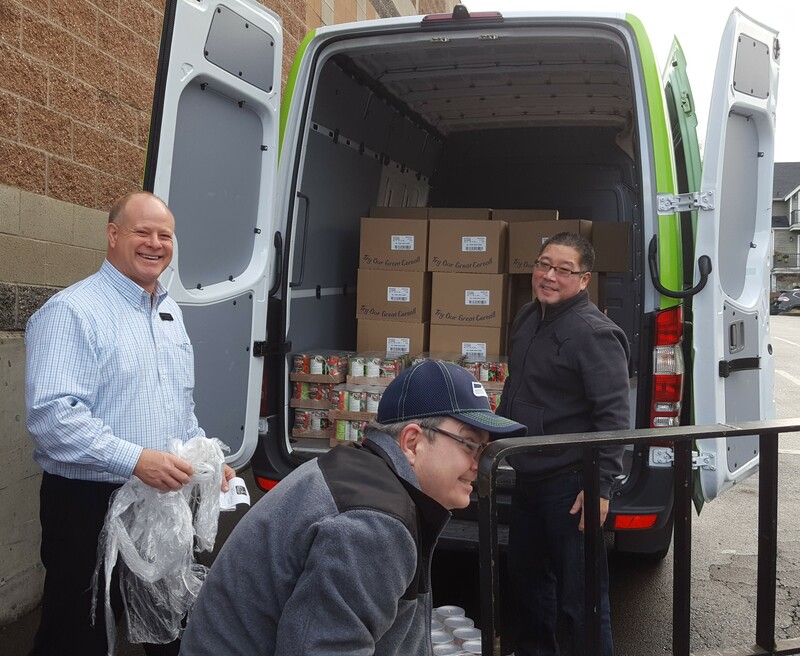 For many years Nucor, with the help of Omega Morgan, have delivered donated food & money to the West Seattle Food Bank during the holidays. The annual gifts are a partnership between the steel mill and its employees – who donate food and cash, which then is matched $2 for every pound & dollar (and then some) by Nucor. Totals for this year were $17,500 and 3520 pounds of food. 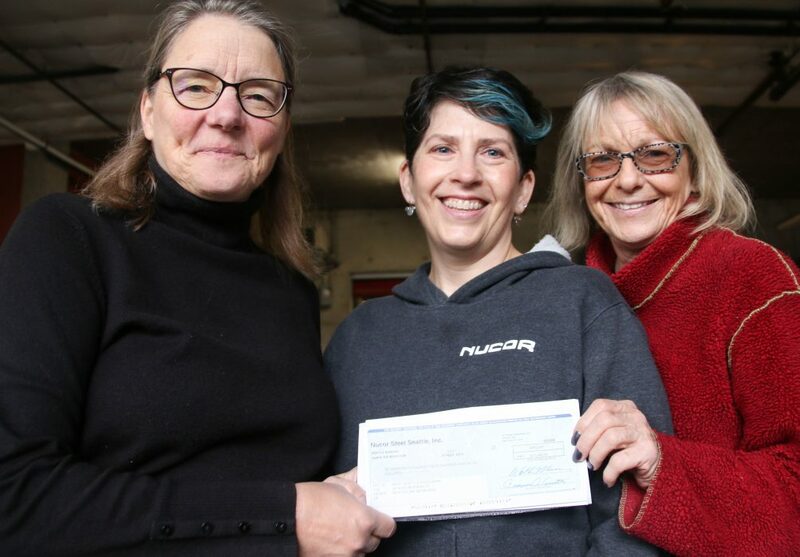 The West Seattle Food Bank has such an appreciation for everything Nucor does for not only the food bank but for all the non-profits in West Seattle. They are such a wonderful community partner. Thank you to their employees and to Omega Morgan Machinery for helping deliver and unload all of the food. Pictured: WSFB Executive Director Fran Yeatts, Nucor’s Stephanie Sanchez & WSFB Development Director Judi Yazzolino. 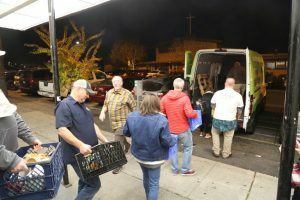 During the month of November, West Seattle’s Metropolitan Market does their annual community drive where they ask their customers to make a donation at check out to the West Seattle Food Bank. As in past years, the customers of Met Market were incredibly generous for a total of $20,700! 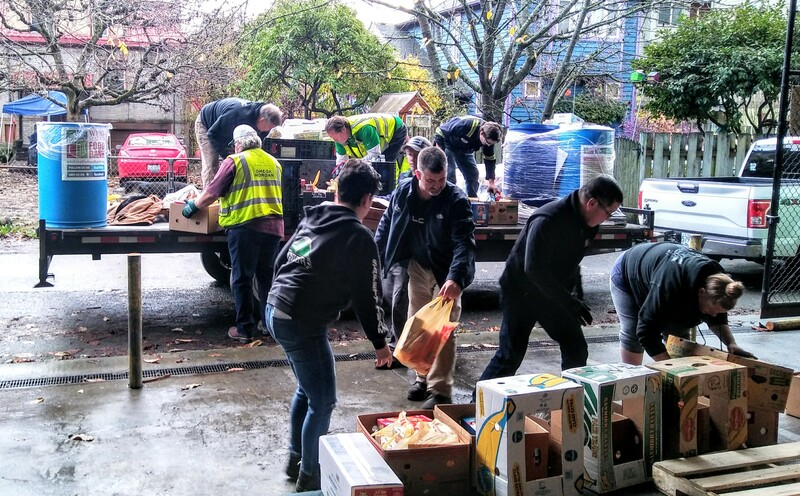 We at the food bank are always amazed at the generosity of this West Seattle Community. Thank you so much.